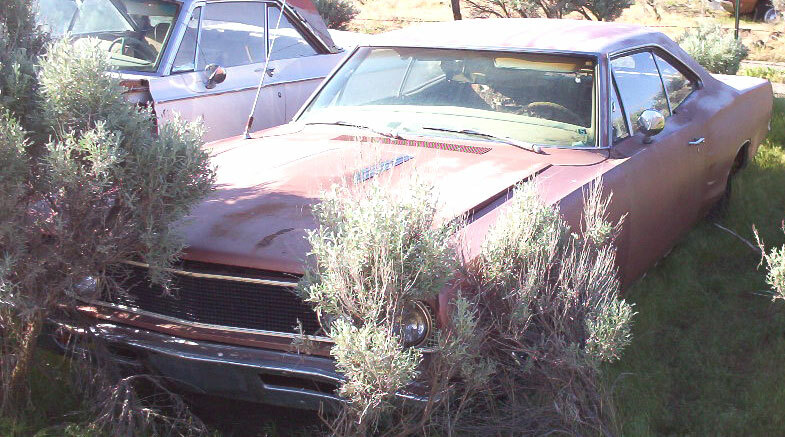 This burgundy 1968 Dodge Coronet R/T 440 2 door hardtop coupe is a mostly complete high-desert project car ready to be restored or customized. 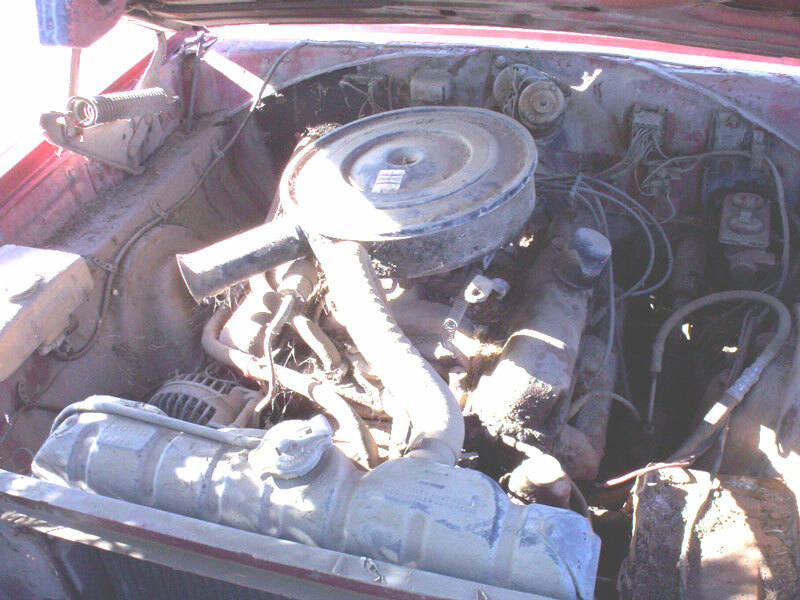 This is an original 44 R/T L-code 440 CID 375 HP V-8 automatic column shift car. All the glass is good. The right front fender is damaged. There are dents in the front of the left front fender and left quarter panel. Both quarter tails are rusted. The rest of the sheet metal is solid. All the glass is good. The left front of the hood is dented. The rocker trim, side reflectors and emblems and badges are missing. The trunk lock is missing. The rear bumper is dented on the right and there is a tow bar. The original black bucket seats are out of the car and in storage. 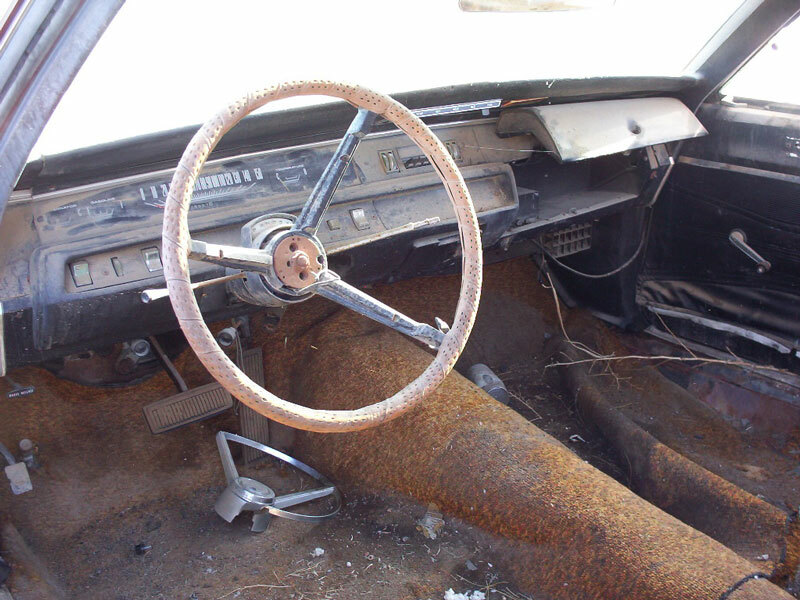 The rest of the interior and back seat are there. The dash is all there including the 150 MPH speedometer. The odometer reads 29,067 and in our opinion it has turned over once. The floors are solid. The body plate is missing but the VIN plate is there. It currently has a 318 CID motor in it, but it comes with a non-numbers-matching complete 440 Magnum 375 HP V-8 motor core and transmission with small torque converter. We will take the 318 out and drop the 440 in for shipping. The VIN is WS23L8A104596. 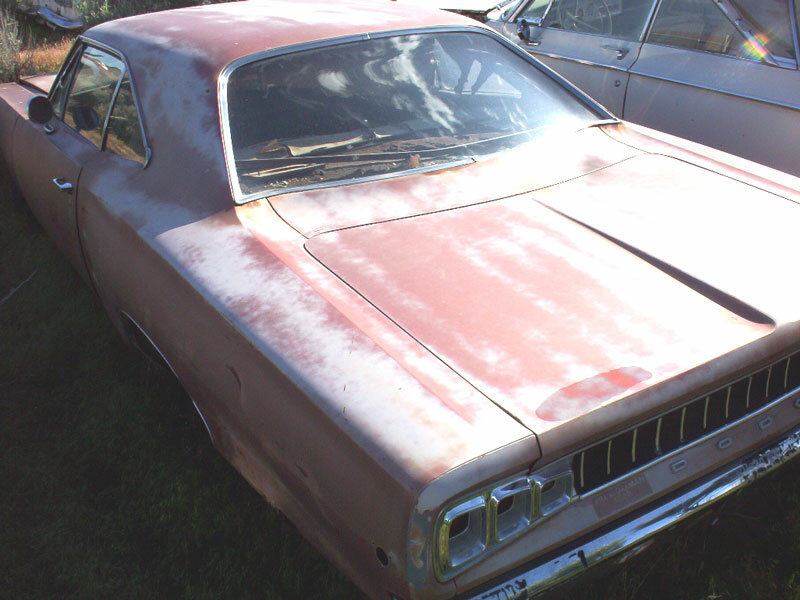 Here is your chance to restore a real-deal 68 Coronet R/T 440 car. Please call (406) 318-0270 for details about this car.